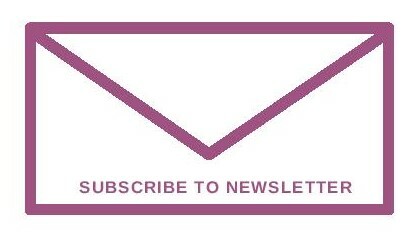 Pin it to save it for later ! 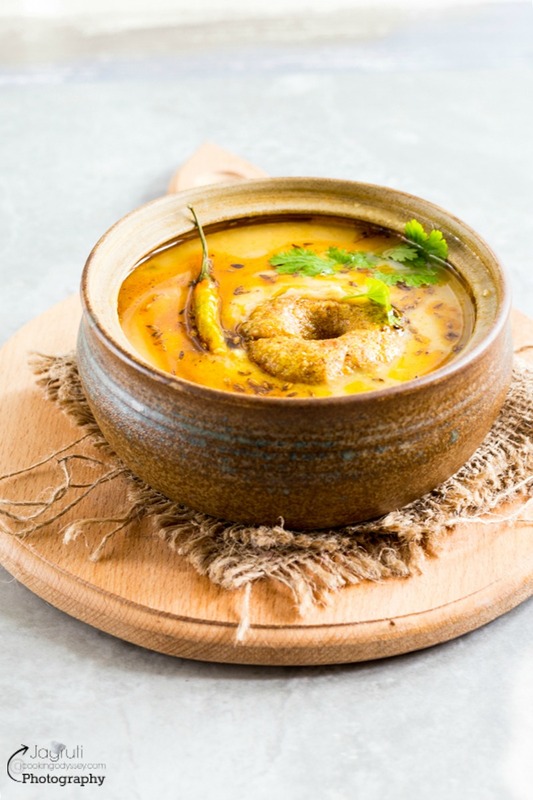 Daal Bafla, a true classic and lip smacking combination, a delicacy that is hugely popular amongst the people of Malwa region in Madhya Pradesh, India. 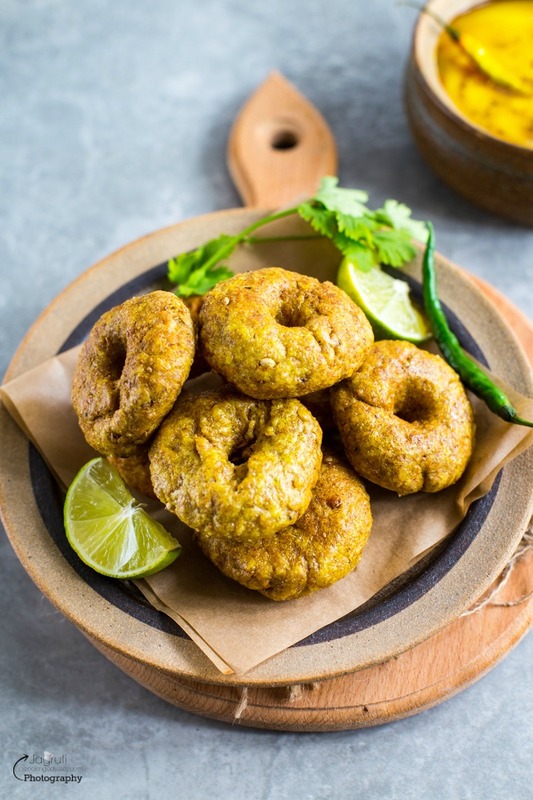 Daal Bafla, is almost the same recipe as Daal Baati which hails from Rajasthan, generally Baati made in Rajastahan is baked direct on firewood although here I bake it in the oven. 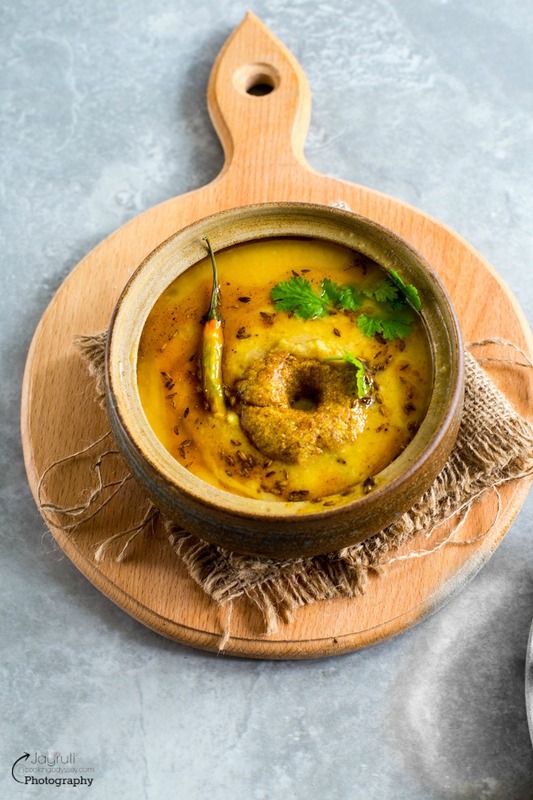 Bafla is steamed or boiled in water first then deep fried and both are commonly served with Ghee, spicy lentils and garlic chutney. Daal Bafla is an ultimate comfort food for this autumn season, steaming bowl of creamy and spicy daal loaded with favourite ingredients which you can enjoy with steamed and deep fried savoury flaky bread (Bafla) Being connected to Rajsthani roots, we always had Rajsthani food and it's colourful culture influences in our life and I still do carry that here too in my own home. So now and then when we feel like to have extra spicy food, couple of our favourite Rajsthani dishes appears on the dining table. 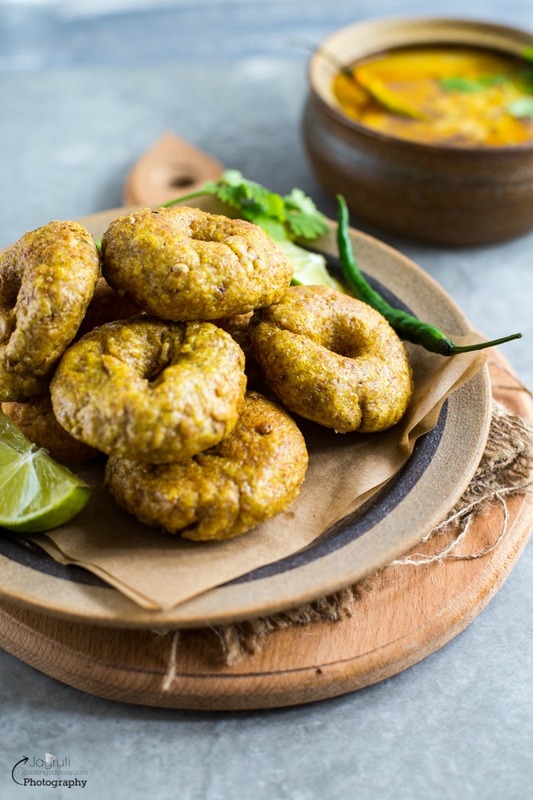 This Bafla Baati can be boiled in a water for 25-30 minutes before deep frying. VEGAN , can omit Ghee. 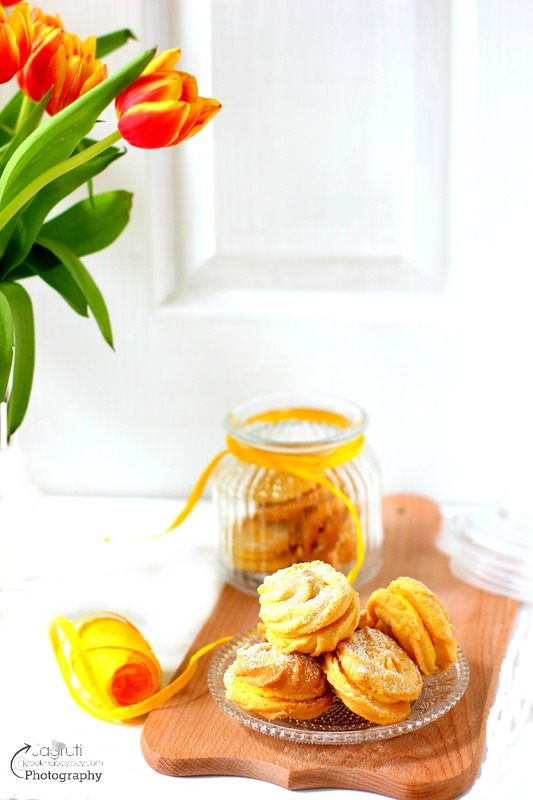 To prepare Bafla Baatis , place all the Bafla ingredients in wide plate except oil for deep frying. Knead the stiff dough using water. Divide the dough into equal portions and make balls , slightly flatten them and make a hole. you will have a doughnut. Steam over water about 25-30 minutes. Remove it from the steamer, let it cool a little. Heat oil in a kadai and deep fry until little golden. Remove it from the kadai and serve them with ghee, garlic chutney and daal. 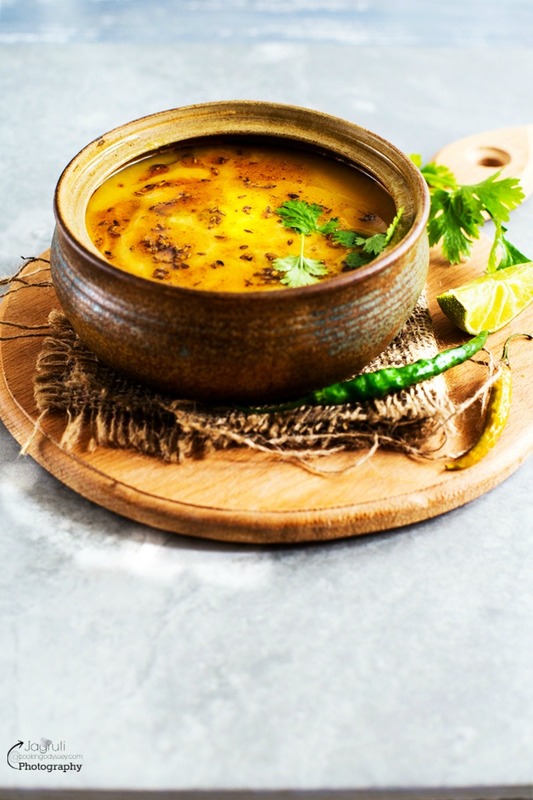 To prepare creamy and spicy Daal, prepare for tadka . In a kadai or non stick pan heat oil, add all the whole spices and cumin seeds. Add hing and dried red chillies. Once they crackle add ginger-garlic paste and saute for few seconds. Then add green chillies and chopped onion. Fry the mixture until onion turns little pink and oil starts leaving the sides of the pan. Now add all the masala and cook for couple of minutes. Add couple of spoon water, so masala doesn't stick to the pan. Add boiled daal and salt, add more water if daal is too thick. Bring it to boil and simmer daal for 15-20 minutes. Add garam masala and lemon juice. 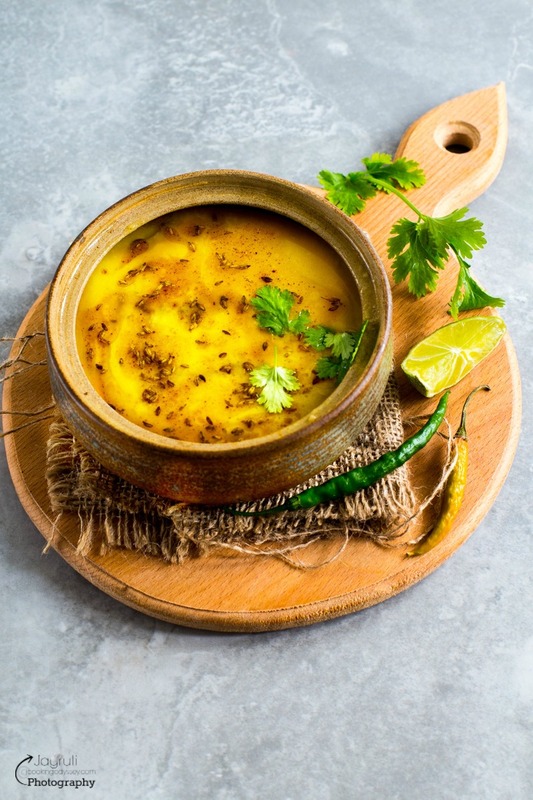 Turn off the heat, garnish the daal with fresh coriander. 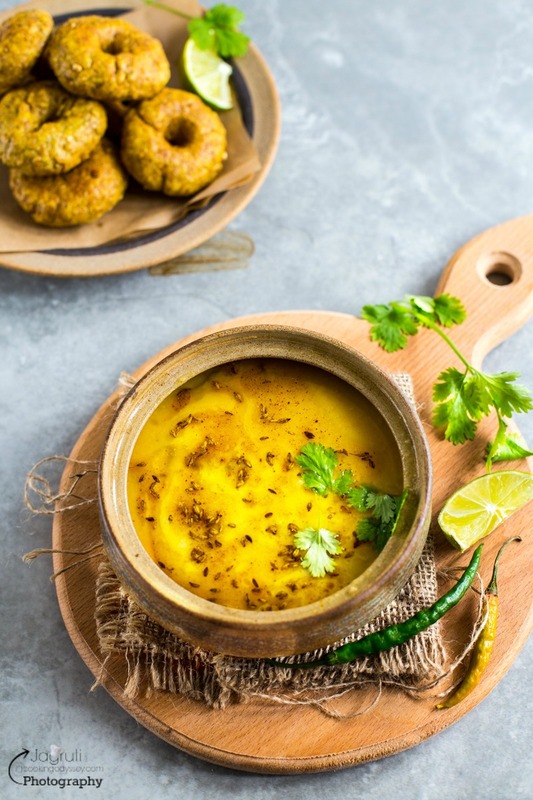 Serve piping hot daal with Bafla, ghee and garlic chutney. Have heard of daal bafla but never tried it. It surely looks so tempting. Love the clicks.